Newspapers and online articles are filled with an attractive, addictive jumble of gossip, headlines, statistics, quotes, tips, life-changing news and celebrities. How do we sort this mess into fact, fiction, or, as I suspect forms the majority, somewhat meaningful half-truths? Making this task harder, is our innate wishful-thinking. As humans, we find it hard to look past our emotions and biases to evaluate articles and arguments in a rational objective way. This is where maths, particularly logic and statistics, can help us. And contrary to common belief, this doesn’t mean we need big calculations, abstraction from reality or number-crunching. Rather, we need to creatively imagine alternative scenarios to encourage a healthy skepticism; we need to puzzle-out mind-boggling statistical paradoxes and we need to use rational-thinking to find a clear path through an otherwise misleading and overcrowded junk-heap of ‘facts’. In our workshop for the Festival of Creative Learning 2019, we applied a few simple concepts to analyse a selection of print articles and online articles on current news topics. One of the most useful concepts was the difference between good arguments, which are merely those which are reasonable, and valid arguments, which are those that if you believe the assumptions, you have to believe the conclusion. We are more likely to believe an argument is valid if we believe the assumptions and the conclusion. Can you spot which of the following arguments is valid? Tidying our houses means that our possessions are easy to find. Therefore tidying our houses makes us feel better. Cannibalism is a personal and acceptable choice although it causes harm to people. Therefore it is okay to inflict harm on people. In the workshop, attendees chose to analyse a varied range of article topics from various sources. The body language of Shamima Begum, the health benefits of pomegranates, a rise in Chinese applications to Scottish universities, antibiotic resistance and a politically-charged article on the SNP investment plan are just a few. Almost universally, we found that the articles appealed to unnamed ‘experts’ for facts, unnamed ‘studies’ for statistics and unnamed ‘critics’ for opinions. Emotionally-charged language such as ‘back-of-a-fag-packet’ or ‘massive ego’ abounded and so did unexplained sciencey-buzzwords e.g. ‘phytochemicals’. The domains of statistics were unspecified. Apparently ‘a quarter of Chinese applications are to Scottish universities’. Is that likely? We believe the author meant ‘out of those to UK universities’. Arguments were never out of a logic textbook, but reconstructing implicit premises and reasoning, we found many that were reasonable. However, particularly the politically charged articles tended to be one-sided, presenting mostly arguments from one side. Why not have a go at analysing a news article yourself? Here are some tips for conducting a logical and statistics-savvy investigation. Compare your analysis with the way you normally read an article. Do you find that you see flaws in statements that you would usually take on trust? Try to determine the thesis of the article. What are the author’s conclusions? What is being argued for and against? Is this intended to be one person’s opinion or as an objective news article? Has it been clearly labelled as opinion or fact? Search out emotive language. Is it helpful in understanding the feelings of other people, or is it exaggerated and manipulative? Look for counterexamples to every conclusion drawn. If they are outlandish, the conclusion is probably reasonable. Work out the underlying reasoning behind arguments. Once you have found what you think is the general structure, think again whether the argument is reasonable. Look for some reference for every fact (e.g. to a study, expert, book) and evaluate the quality of the reference. Do the statistics make sense? Is the value expected or surprising? Sometimes a news article can present the statistic in different ways to make it seem big or small. For example, they could say ‘1000 people in the UK get disease X every year’ which seems like a lot. Or they could say ‘the chances of anyone getting disease X are 0.0015%’ which seems unbelievably small. But in fact, they are equivalent statements! So think of alternative presentations of the statistic before you decide it is large or small. Are there any implicit assumptions, including stereotypes or assumptions based on our culture? Is the article balanced and fair? Would anyone feel offended by what the article says? Is the headline relatively accurate compared to the actual content of the article? If there are any photographs, visuals and graphs, do they contradict the content of the article? Are they emotive or do they mislead? Have they been accurately labelled and explained? If you would like to explore this topic further, here are some of the resources I found inspiring when putting this workshop together. The Dissection of Medical Dramas was a fun and interactive workshop that used role-play and popular television medical dramas, such as Grey’s Anatomy, Chicago MED and Scrubs to identify and discuss ethical issues that arise in the medical context. It aimed to enhance the audience’s understanding of the issues. The audience members were very engaged during the discussion of these matters and raised some extremely relevant and interesting questions, allowing for reflection and consideration of some controversial, topical and emotive issues. Most audience members participated and we had some illuminating discussions as a result of the questions raised by the audience members. This was extremely rewarding and added to the overall value of the experience. The feedback we received from the audience on our event was very positive. All of the audience members who provided feedback said that they would recommend the event to others and that they learnt something new. Almost all of them said that they found the event to be very useful. Upon reflection of the event, we felt like we would need to better manage our time should we run our event again in the future as we were unable to cover the role-play segment on the day. We had an unexpected, yet welcome, enthusiastic and highly engaged audience that raised several questions and issues after each clip. It was more important to have audience engagement than cover everything we had planned, however, in future we aim to better prepare for this so the audience gets to experience both segments, while ensuring that they can still be actively engaged. Furthermore, the event might have benefited from a different room as the lighting, which would not turn off, reduced the quality of the images and video clips we showed. The room boasted terrific views of the coast line and the Firth of Forth, but unfortunately the window blinds had to be drawn. Another feature that could be considered should we run the event in the future would be acquiring a smaller, more intimate space as this one was quite big, making the number of audience members look smaller. Some people mentioned that the room itself was not the easiest to find and possibly a more easily accessible room would increase numbers. This experience has nevertheless been amazing and certainly highly rewarding. The event has had a great impact as shown by the positive feedback we received and we have also been approached by members of staff to discuss our event with the purpose of sharing it with others. LLC Blethers has once again been part of the Festival of Creative Learning and it has been a success! Looking back at the months of organising and planning that preceded the event, I can say that LLC Blethers was a team effort and that the hard work paid off. LLC Blethers is an evening of a series of lightning talks, where presenters support their presentation with 20 slides each lasting 20 seconds. The format requires fast talking, confident presentation skills, good timing and the ability to engage with the public while delivering more or less complex and academic topics. The series of talks is then evaluated by a jury formed by Edinburgh University staff and/or members who will decide the overall best presentation and will also award different prizes for other categories (such as ‘best use of the format’, ‘most creative’, and so on). This year we had the pleasure to be joined by Michelle Keown, Alan Binnie, Miriam Gamble and Niki Holzapfel. The event took place at The Counting House as we always strive to organise the event at an informal venue to promote students and staff to mingle in a context outside university which fosters communication and interpersonal relations. The plethora of presenters who joined us this year and which were selected through a Call for Presentations earlier in January were from the Postgraduate community in LLC and they all did a superb job at crafting and presenting their talks. We had the chance to display a variety of interests and academic research, from table-top role-playing games about climate change, to a feminist overview on banning the Disney princesses, to how to make a movie on a micro-budget. No less importantly, the event would not have been the same without the support of local businesses who kindly offered prizes and vouchers for the winning presentations. You can find more about LLC Blethers at http://llcblethers.weebly.com. On Monday (18th February 2019), I headed over to the ASCUS Lab in Edinburgh for a workshop called ‘People, Soils, Microbes: the Evolution of Inhabited Landscapes’. Despite my background being in physics, I like to get out of that comfort zone whenever I can. That this event was part of the Festival of Creative Learning and was a hands-on workshop rather than a presentation was a major bonus! ASCUS is a non-profit that tries to bring the arts and sciences together and to democratise science. The lab this session took place in was created so that anyone can have access to a basic wet lab with donated equipment from across Edinburgh. The session was split into two parts. The first, delivered by Dr. Nikos Kourampas, was about geoarchaeology – applying geology to archaeological questions. The presence of humans and other creatures in an environment causes change in that environment, and those changes can be preserved in the ground – the geologic record. All sorts of things can be preserved, from bones and shells to tools and ash. A sample of this sediment is like a slideshow of all the things that happened there, with more recent events at the top and older events at the bottom. If we can identify things preserved at different times, we can discover the story of a place and understand how people, other animals, plants or environmental forces have shaped the environment and in turn been shaped by it. Perhaps the most fascinating example is bats in tropical caves. When bats roost in a cave, the CO2 that they exhale gradually dissolves the nearby rock due to its slight acidity. Over long enough time, the bats inadvertently ‘dig up’ through the rock, making more space for them to roost. One way to study these samples is under a microscope. By injecting a sample with resin so it holds its shape and then slicing it into very thin (30 micrometres thick, about the same as a human hair) the samples become see-through. In addition to ‘normal’ microscopy, this lets us use techniques like polarised light microscopy, which makes features of the sample’s microstructure visible to the human eye. This was our first activity of the session – to take a sample (or two, or more) and examine it under the microscopes and try and create a story to explain how the features we saw in it were laid down over time. Our experts were on hand to help with identifying specific things like bone or shell, but the idea was to stimulate creative thinking to tell the story of the places our samples were from. For example, my sample had a central region in it that was much darker in colour and contained several fragments of bone (which by the way appears as a bright rainbow under polarised light), which I reasoned was a sign that this was an area that early humans had come to at some point in the past, lived there for a time leaving behind ash from their fires and bones from their prey or themselves, and then moved on as part of their hunter-gatherer existence. I’ve no idea whether this is true, I’d need to know much more about the sample and others nearby to say that, but it gave me an appreciation for how geoarchaeologists use this kind of approach to investigate the ancient past before recorded history. After we finished with our samples, we were treated to another short talk, this time by Dr. Jiří Jirout on the subject of microbes and microbiology. This was a subject we’d touched on earlier: once something has settled underground it doesn’t just stay there but rather keeps changing as microbes interact with it, much as it did above ground with humans, other animals and plants. Microbes are amazing. They were the earliest life forms to arise on Earth and are the most numerous too – there are more microbes in a handful of soil than there are humans on Earth. If we could lay out all the microbes in the world out in a line, they’d stretch beyond the edge of the observable universe! On top of that, most of those microbes are unknown to us. Only about 1% of microbes have been identified. From those we have identified though, we know that they serve an incredibly important function as the last step in a long chain of processes that break down organic detritus. Without microbes we’d be knee-deep in… well maybe better not to think about it. Some of them are also incredibly tough, although if we’re giving out prizes the winner probably has to be deinococcus radiodurans. This little critter doesn’t care about acid, cold, vaccuum, starvation or – especially impressively – enough radiation to kill a human 1,000 times over! Maybe you’ve heard of tardigrades (a.k.a. water bears)? They’re kind of famous for being radiation-proof, but a dose that would kill even them doesn’t seem to phase our little friend up there. If you’ve heard of extremophiles – life forms that can thrive in extreme environments – deinococcus radiodurans is a polyextremophile – it can happily live in a mix of them.Wait, how does something evolve radiation resistance like that? After the second presentation, we moved on to our other practical activity: making Windogradsky columns – a sort of microbial zoo! To do this we took a plastic flask, filled about a third with a pond mud and raw egg (to give the microbes some food), a third with soil (more and different microbes) and a third with pond water (more microbes and nutrients). This forms an enclosed microbial ecosystem that over time will change as the different microbes thrive in different environments – air-breathing (aerobic) ones at the top and airless (anaerobic) at the bottom. After a long time these columns can become incredibly colourful and intricate as the microbes multiply. A great example of this is Bacteriopolis– an art installation at the San Francisco Exploratorium that is a giant Winogradsky column. The pacing of the workshop was great, the talks were entertaining and detailed without ever seeming to drag and left plenty of time for the practical sessions where we could explore the concepts in more detail. The creative aspect of telling a story through the samples we examined was especially interesting to me, as it bears striking similarity to the first steps in a scientific investigation – you make your initial observations and form a working theory that you revise as more information comes to light. Being able to bring home my own little Winogradsky column was a nice touch too. My very own microbe colony! In a year or so it should be thriving in technicolour! I found the combination of subjects in this workshop fascinating – soil forming the link between geoarchaeology and microbiology isn’t something I’d have thought of before, but like microbes soil is a near-constant presence beneath our feet. We are inextricably linked with the soil as we change it and it in turn changes us, and as we change things above ground, invisible hosts of microbes continue to shape and be shaped by the environment beneath it, gradually creating a record in the Earth that will persist for many millennia into the future. 1. Soil Analysis Support System for Archaeology – If you want to know more about geoarchaeological methods. 2. Geoarchaeology – Using Earth Sciences to Understand the Archaeological Record – Historic England’s guide to the subject. Over the Festival of Creative Learning, I ran a workshop to teach Writing for the Web to students and had them demonstrate their newfound skills through a collaborative writing exercise. We read online differently than we do in print, and because of this, we need to structure our content differently to accommodate for this. I first did Writing for the Web training as part of a web editing internship while I was an undergraduate, and it’s what led me to the role I’m in today with the University Website & Communications team. My hope with the session was to teach students a skill they wouldn’t be learning at university, but that could help them if they were looking to pursue a writing or communications-based career. The session was split in two halves – training in how to write for the web, followed by a collaborative writing exercise. The collaborative writing exercise used a technique called pair writing, which got students to work together to write a web page about their student experience. I was especially keen to teach pair writing to students as it introduces them to a more collaborative way of working that will be important in their careers. When you write essays for university, your name (or identification number in the case of anonymous marking) is attached to your work and it must be in your own words. In the working world, though, you may be writing on behalf of a company where authorship isn’t stressed, and writing together can facilitate a shared sense of understanding and ownership of content in an organisation. I was absolutely impressed with the webpages the students wrote. It was also great to hear the discussions going on between pairs as they worked together, including hearing how helpful they felt it was to have a second pair of eyes look at their work. On my feedback form, I asked the students how they would use these lessons going forward as I wanted to know more about what made them come to the session. There is no doubt learning about how to write for the web will help in all of these cases, so I’m happy I had the opportunity to deliver this training to students in person. Our official Writing for the Web course (called Effective Digital Content) is open to all University of Edinburgh staff and students through the Learn VLE. Lauren Tormey is a content developer in the University’s Website & Communications team. She leads on content projects including website builds and audits, while also providing editorial support for the University’s web publishing community. James Hutton (1726-1797) is one of Edinburgh’s great thinkers, and his insights have changed forever how we think about the world. Our walks in the 2019 Festival of Creative Learning followed in Hutton’s footsteps, through the streets that he called home, and allowed us to reflect on the passing of time: the time since Hutton lived here, the time that it has taken Edinburgh’s landscape to form, and the time we spend in Edinburgh. We visited the site of James Hutton’s house at St John’s Hill, where he spent the last three decades of his life, and the place where he died in 1797. The exact spot is now a memorial garden, created by the University of Edinburgh and other organisations. The garden includes several boulders that illustrate Hutton’s ideas about the natural processes that have shaped Scotland. There is a boulder of conglomerate, containing rounded pebbles that could have come from a beach or river today, but are actually 400 million years old. And a boulder of metamorphic rock from Glen Tilt, with cross-cutting veins of granite, demonstrating Hutton’s understanding that granite is an igneous rock, formed by cooling of liquid magma deep underground. You can find out more about the Hutton Memorial Garden here. Hutton’s great insight into how the world works, drawn from decades of thought and investigations around Scotland, was that the planet is shaped by slow, natural processes that operate on unimaginable timescales. And that these processes have not stopped: “the chain of physical events connected with the present state of things, sees great changes that have been made, and foresees a different state that must follow in time, from the continued operation of that which actually is in nature…”. Standing on the grass below Salisbury Crags, next to one of the boulders that has plunged down the steep slope in the last few years, we can glimpse the slow evolution of Edinburgh’s landscape and a “different state that must follow in time”. Edinburgh may have a big impact on us, but our individual impact on this landscape and this city is pretty insignificant – these crumbling hills will still be here long after we’ve gone! Being playful and experiencing joy are part of being human, but often not what comes to mind when living with dementia. ‘Listening with Your Eyes’, a workshop delivered by Nik Howden from Vamos Theatre Company, which ran as part of the Festival of Creative Learning 2019, challenged this mindset. Through a series of exercises, carried out in a reflective and whimsical way, we learnt to pay attention to the way that communication and connection with another person depends on so much more than words, and to think about how that feels: the sense of loneliness and boredom that comes when another person avoids eye contact; how the touch of only a fingertip can build a relationship of trust as we are being guided along an unfamiliar path; how so much meaning is held in the tone of our voice. As a group we were invited to let down our guard and open ourselves up to one another, as without this we cannot be playful. We tuned into each other’s movements and danced with strangers. This touched something in us which, in the busyness of life, can remain dormant: the silent dancing provoked spontaneous applause. It was simple and yet it was profound because each of us knows that we have a fundamental human need to connect with others and to be held in relationship. For people with dementia this can be so difficult in our hypercognitive culture which puts such as high value on words. But we are so much more than our words. This workshop helped us to slow down, to notice, and to be present. In the UK there are 850,000 people living with dementia, 39% of whom live in care homes, places that many people fear they will spend their final years. The artist Camille Pissarro said ‘Blessed are they who see beautiful things in humble places where other people see nothing’. Care homes are humble places yet beauty can be found there if we care to look. One workshop participant said that the thing she was going to do after the workshop was go and see her grandmother – she felt more able to do this. One of the best things about the workshop was the range of people it attracted. There were people from care homes, student nurses, medical students – all of whom already work with people with dementia. What was especially encouraging were those who came along who don’t work with people living with dementia but know them in their communities and their families and recognise the value of holding them in relationship, living well together. In the absence of a cure for dementia, or indeed old age, it is compassionate communities which foster hope. (Re) discovering the precious art of ‘listening with your eyes’ is a step towards establishing compassionate communities and seeing beauty in humble places. Facial muscles made from wax on plastic skulls, How Do We Make Facial Expressions? I am a Teaching Fellow in Anatomy and a freelance Medical Illustrator with a passion for the enhancement of anatomy education through the use of art and technology. Anatomy is a visual subject; one which students must be hands-on with to allow for them to understand the three-dimensional composition of the body. The use of creative learning techniques compliments anatomy education extremely well as it allows students to recreate the anatomy through different materials. I am interested in the different resources we can create for students outside the anatomy lab to aid in their learning, but also the resources we can offer to people with an interest in human anatomy, so what could be a better place than the Festival of Creative Learning? As part of the Festival of Creative Learning I organised two arts-based workshops, with the help of my colleagues, focusing on different areas of the body; How Do We Make Facial Expressions? and Art-Beat: Art and Anatomy Presents Clay Hearts. Both workshops were hands-on creating the anatomy from either wax or clay, to build up a three-dimensional representation of the muscles of facial expression or the structure of the heart. The workshops were open to anyone with an interest in human anatomy and trying new creative ways of learning. Both workshops had to accommodate for the varying levels of anatomical knowledge to allow for everyone to understand and also to enjoy the information they were learning. Therefore for both workshops I used a presentation to display images and anatomical terminology to help guide the attendees through the anatomy. The goal of the workshops was for the attendees to feel that they had learnt something new by the end of the workshop, whether that be anatomical information or a new artistic skill. The great thing about using art as a learning resource is that it can make your mind focus on the task of creating something, and help you relax from our busy everyday lives. This kind of learning technique also allows for us to create an end product, which can be taken home and admired, such as the clay hearts, or photos taken to show everyone your creation, like the muscles of facial expression sculptures. Both workshops received positive feedback, which I was extremely pleased about, not only as it showed people enjoyed the workshops, but also because the comments showed that people left feeling like that had learnt something new. The words used to describe the workshops were brilliant; therapeutic, fun, innovative and relaxing, to name a few! 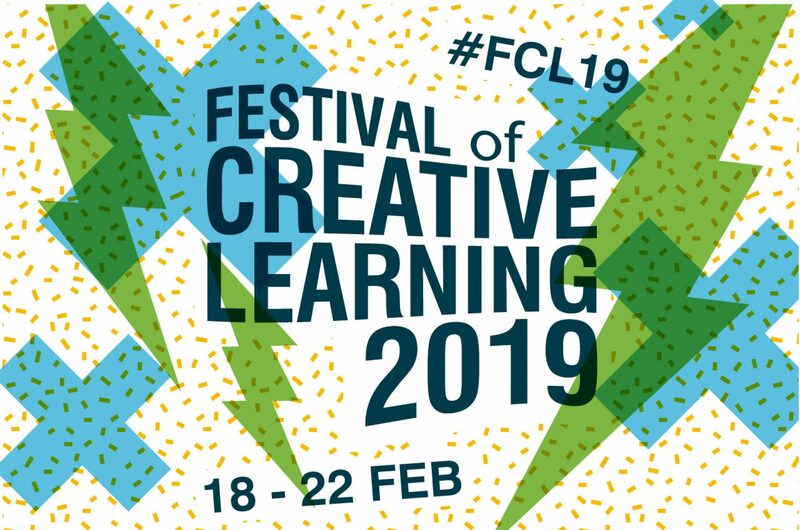 The Festival of Creative Learning was an excellent place to try out these new ideas, and I would highly recommend the festival to anyone who wants to try out a new idea! To find out more about ArtBeat: Art & Anatomy Edinburgh, a group running art-based anatomy workshops at the University of Edinburgh, follow us on Twitter @ArtbeatEd and on Facebook @artbeatedinburgh. You can also keep up-to-date with anatomy events on the Anatomy@Edinburgh website; www.ed.ac.uk/anatomy or follow us on Twitter @AnatomyatEd. Thanks for reading and I hope this inspires more people to think about using art to learn more about the human body! We’re Andy Todd and Andrew Kirk and we’re IT Trainers from the Digital Skills and Training team, Information Services. We design, develop and deliver IT and digital skills training events and materials for staff and students across the University. Our team also runs the University’s Lynda.com service, which provides staff and students 24/7 access to a free library of 250,000+ HD videos tutorials in IT, digital, business and creative skills – delivered by industry experts. Having previously attended (and enjoyed) Festival of Creative Learning events ourselves, we were inspired to develop and run our own event for this fantastic festival. Our two, two hour events, ‘Learning and Teaching with Lynda.com’ introduced attendees to the Lynda.com service, showing them how easily the service could be used to learn new skills, or embed Lynda.com content into teaching. We taught attendees how to search for, view and share content, curate and share their own view/course playlists, link certificates to LinkedIn profiles, and download content for offline viewing. We loved delivering these sessions and found it to be a great way for us to speak to staff and students to find out which digital skills they were passionate about learning or improving, and how they intended to do so before learning about Lynda.com. It was particularly satisfying for us to hear how positively attendees spoke about the Lynda.com service after we had demonstrated and they had used it, and how important and valuable they believed it to be as a free resource for our staff and students. Overall, the event feedback received was really positive, with several attendees stating an improved confidence using the Lynda.com service as a result of attending our event, with all attendees stating that they would recommend it to others. Given how much we enjoyed running events this year, we’ll definitely be applying to run some more next year – so keep an eye out for us in the event list. To find out more about the Digital Skills and Training team, please visit www.ed.ac.uk/is/skills. For more information on our Lynda.com service including how to get signed up, please visit www.ed.ac.uk/is/lynda. Hi everyone I’m Kostas, one of the many event organisers of FCL18. My event was “Cooking with Science: From molecular gastronomy to gourmet cooking”. I’m a PhD student, with a background in Electronics & Electrical Engineering. Nothing to do with cooking! The Festival was an opportunity to change people’s attitude towards cooking! Food science is a hobby and passion of mine. It has changed the way I cook, or even shop for food. You read product labels with a different understanding! I wanted to share the things I’ve learned with others. The science-part is surprisingly fascinating, touching upon soft-matter chemistry and physics. The cooking-part is a platform to express creativity. Such themes are at the heart of the Festival of Creative Learning. Not to mention, you literally get to taste your creations! Chocolate-flavoured modernist mousse: We discussed thickening agents and viscosity, then used Xanthan Gum to make a mousse. Carotene butter using a centrifuge: We explored emulsions and emulsifiers, then used carrot juice to make carrot butter. This was a tough recipe, but we had fun using a DIY-centrifuge made out of a salad-spinner. Orange juice fluid-gel: The gooiest part of the day. We discussed gelling agents and the peculiar case of fluid-gels, which are something between a liquid and a solid. The gel tasted better than it looked. Super-creamy ice-cream: Everyone’s favourite! We discussed ice crystal formation and its impact on ice-cream texture, then we made some very tasty ice-cream and churned it using dry-ice. Running this event for the first time was quite challenging. Some of the recipes were at an experimental stage. I can only applaud the amazing work of the participants, who kept going even when things got messy (literally!). In the feedback, most participants said they picked up new skills, and planned to try out some of the recipes at home. I am hoping that some may develop a passion for food science. I hope to use all I’ve learned to run more events like this. Cooking gets people’s attention, so it is perfect for public engagement and outreach. I’d like to try this out in science festivals. While organising the event, I met people from various Schools and Institutes throughout the University. Several showed interest in working together to run more food science events or mini research projects. Fingers crossed, cross-disciplinary collaborations may be coming up. Future events will be announced through my social media and blog (scicooking.blogspot.co.uk).